Notes from a message at Fellowship Bible Chapel in Fort Myers, Fl. Delivered by Gary Clark. Who remembered Jesus' words about his own resurrection? More importantly, when did they remember? 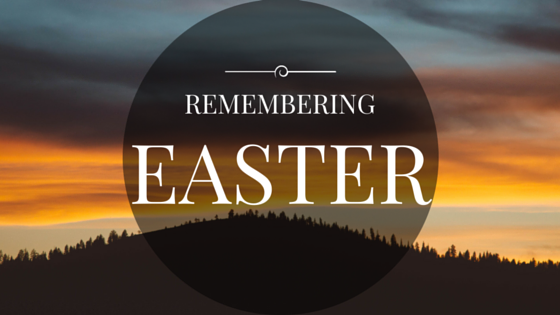 Who was the first to remember what Jesus said about his own death, burial and resurrection? You may be shocked to learn who remembered, when. You would think that the disciples. The men who were devoted to Jesus. The men who fervently followed Jesus. The men who gave up their livelihoods for Jesus. The men who ate, slept and prayed with Jesus. You would think these men would be the first to remember Jesus' words because, you know, they hung on his every word. They were actually the last to remember that Jesus predicted his own death, burial and resurrection. The women who visited the tomb on Easter morning fully expected to see a corpse. When they didn't see a dead body, they freaked out. They did not remember Jesus' words. They needed an angelic reminder and a visit from the resurrected Christ to refresh their memory. Commend them for their belief. At least they believed when they were told. That is more than can be said for the disciples. Shocker! The Pharisees remembered Jesus' claims and ensured that the disciples would not be able to steal the body away. This was done while Christ was in the grave. This also proves that they understood Jesus' claim to "destroy the temple and raise it in three days." He wasn't talking about Herod's temple, he was talking about his life. The Pharisees, though they did not believe, certainly understood Jesus and memorized his words. This goes to prove that head-knowledge is not a substitute for faith. It is a shame that the followers of Christ were not the first to remember his words. It should be a sobering thought to all Christians. We need to be vigilant and remember that Christ is in control in every situation. Do not let our emotions cloud our view of Christ and his words.